The Electronic Power Steering (EPS)system is next generation, incorporating new ECU mapping for improved linearity in steering response, reduced low-speed steering effort for enhanced manoeuvrability and decreased kickback traits for improved all-around steering action. The TRX420FM2 has an all-new double-cradle steel frame developed with Computer Aided Engineering features increased stiffness for even more precise handling and a smoother ride. New front and rear suspension systems feature an increase in travel for a plush and controlled ride. Overhead-valve design provides compact engine dimensions for excellent ground clearance while maintaining a broad, easy-to-use powerband. Super-heavy-duty automatic clutch with a low-rpm engagement point for excellent driveability and towing capability. New three-point mounting setup for the EPS system makes the entire steering mechanism more rigid for even more precise steering. Honda TraxLok® 2WD/4WD system offers two drive modes: 2WD and 4WD with TraxLok® torque-sensing front differential. Adjustable spring preload now featured on all shocks to allow suspension tuning to match varying loads and riding conditions. New enclosed-axle type swingarm with optimised stiffness for improved toughness and durability, and excellent handling performance. New, aggressively styled bodywork also provides better mud and water protection. 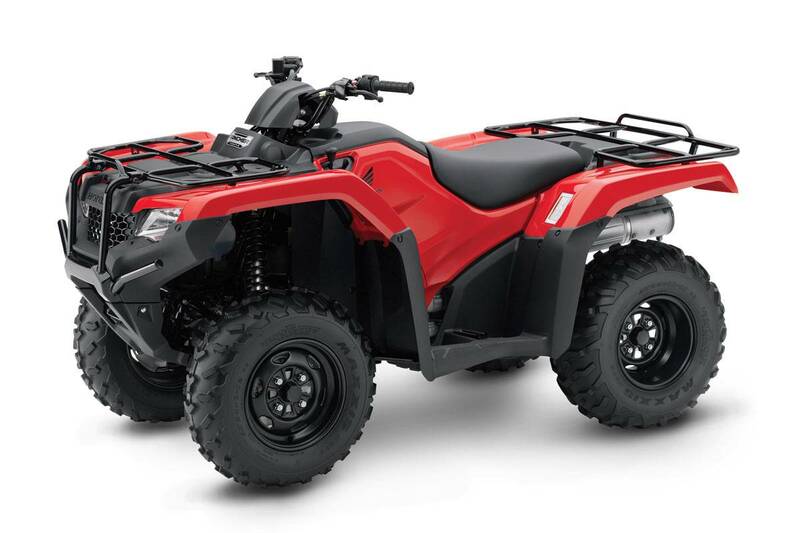 Honda's TRX420FM2 is formerly the TRX420FPM.